Just after the Route 54 junction we’ll approach I-72. 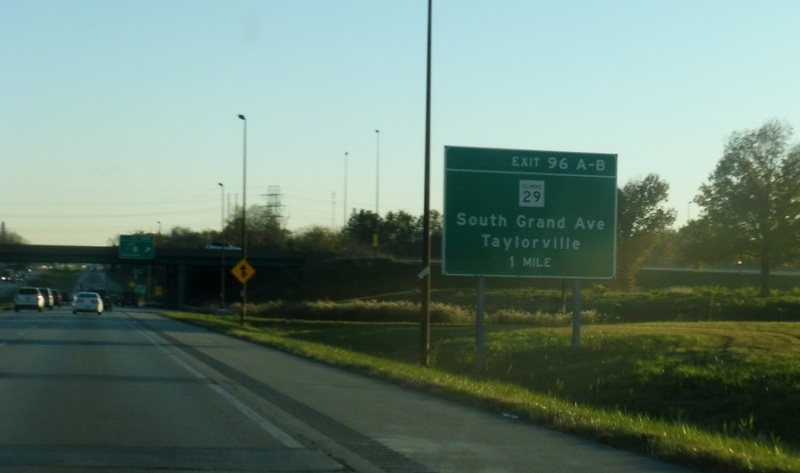 Follow Exit 98A for I-72/US-36 east. 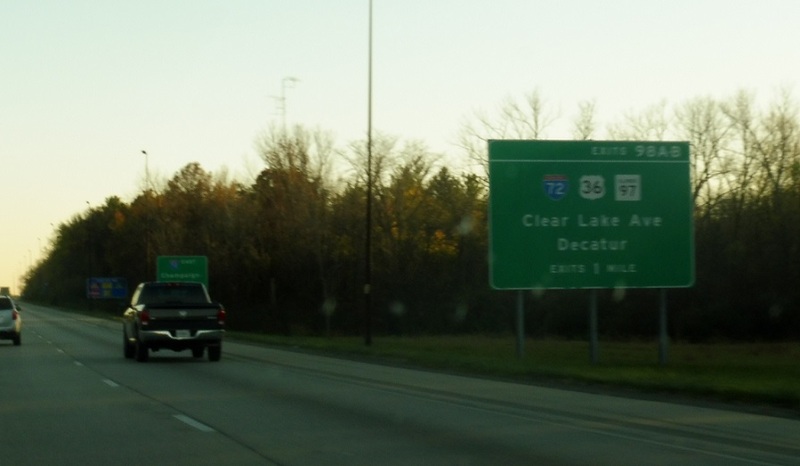 At the I-72 east junction we’ll also approach Route 97. Exit for Route 97 west. 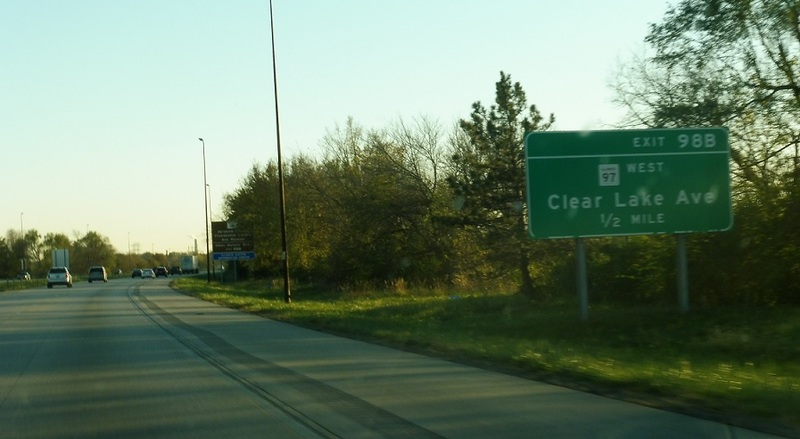 Exit ahead for I-72/US-36 east. 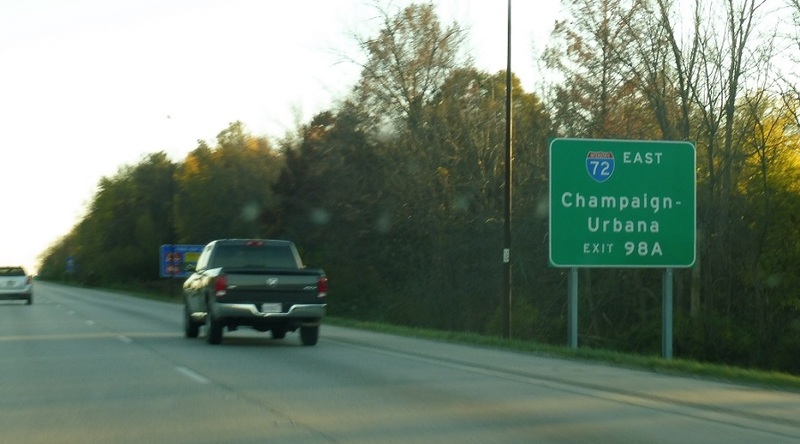 I-72 west joins I-55 south. 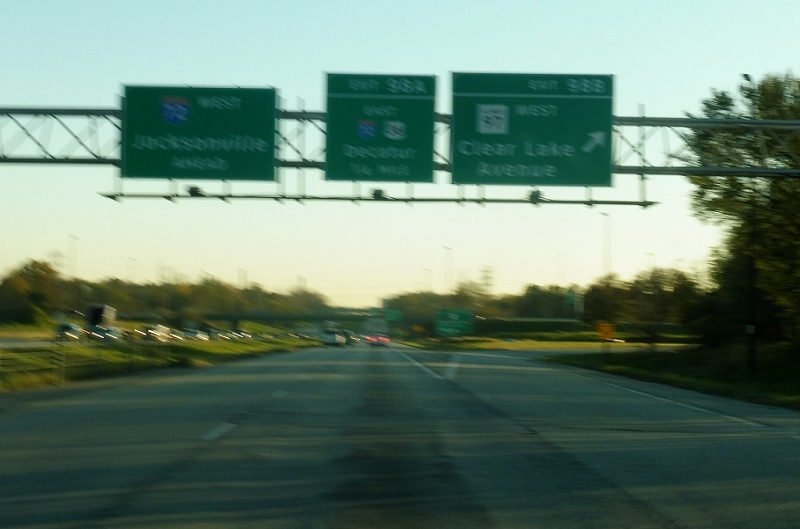 Just after I-72 joins we’ll approach Route 29. 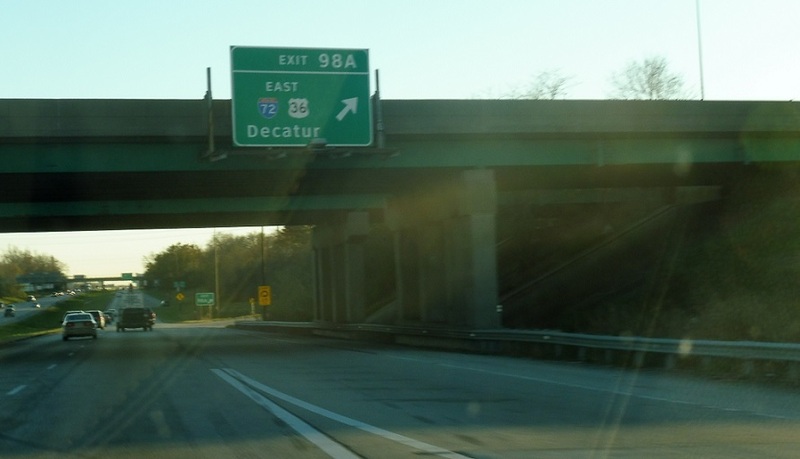 Exit for I-72/US-36 east towards Decatur. 72/36 west join I-55.